Pre-Qing Ming Tea Time Is Near! The fever has kicked in – the irresistible desire for those fresh white and green teas that will be coming soon. 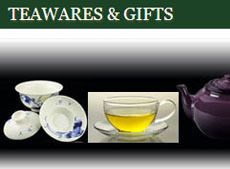 Yes, pre-Qing Ming Tea Time is here, although they will probably not appear on the market until the April – May timeframe. And we are salivating at the very thought. Time to see what’s so special about these teas. Qing Ming is the festival where the Chinese people honor their ancestors, visiting their graves (or tombs), sweeping away debris, and adding decorations. For tea, this is also an important time, marking the difference in tea qualities. The pre-Qing Ming teas are the anxiously awaited first buds after Winter. They are usually considered special since the plants put forth quite a burst as soon as they can when the temperatures are warm enough and the rays of the sun hit them at the right angle. Their flavors can dance on your palate more vibrantly yet lightly. Harvest Period: March when buds succulent. Taste: Gentle astringency, slight jammy finish. Preparation Hot: 1-1.5 tsps leaves, 6-8 oz water, 180°F, 3 mins, sip with leaves in cup, add water, sip, repeat until flavor is exhausted. History: It is believed tea was named for the 3 kingdoms (Shu, Wu, and Wei, 184-220 AD). The area now called Anhui was under a powerful warlord (Cao Cao), founder of Wei, who sought to unite the kingdoms. This tea was created and named in honor of his vision. When infused the leaves united. Monks living in monasteries in Anhui’s mountains are known for their tea. Many of their tea gardens and processing methods are centuries old. Taste: Toasty, pleasant jammy-like character. Appearance: bud/shoots show during infusing. Preparation: 1 tsp leaves, 6-8 oz water, 180°F (90°C), 3 mins. Good for 3-4 infusions. Streamed, handmade into ringlets. 1st/2nd leaf of new shoots are plucked, withered, slightly steamed, hand-rolled lengthwise, best are curled around a “beauty stick,” pressed flat, dried in a special oven. Similar to Daughter Ring Green Tea and Daughter’s Ring Early Spring Green Tea. Appearance: 1st & 2nd leaf of new shoots from large-leaf tea trees, bottoms covered with new down. Preparation: 3g dry leaves; 100 ml water; 80°C, 1 min. (delicate), 2 mins. (stronger), 3-4 infusions. How made: Leaves withered, steamed, hand-rolled lengthwise, best selected, curled around “beauty stick,” pressed flat, dried in a special oven. Similar to China Beauty Rings and Daughter’s Ring Early Spring Green Tea. 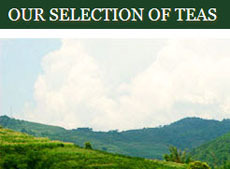 Tea plant varietal is quick growing, resists cold temperatures, and suitable for making green teas and black teas. The spring buds contains 3.7% amino acid, 18.5% tea polyphenol, 12.1% EGCG and 4.0% caffeine. Taste: clear liquid, clean aroma, mellow. Appearance: Shaped like a green sword collected from the sword-leaved variation tea tree, a bud and 2 leaves, about 3 cm in length, neat uniform. Awards: Won Zhejiang famous brand in Zhejiang Province and other honors. 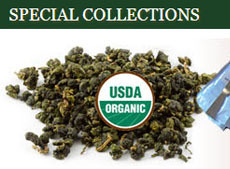 Excellent quality, won praise from the tea sector. The name “snow” is from the fine hairs on the leaves, making this tea sometimes classified by vendors as white and sometimes as green. Area from: Emei Mountain in Sichuan Province, China. Tea gardens are at 800-1200 meters up the mountain. Harvest Period: mid March to Qing Ming (April 2nd this year). Often one of the first of such teas to appear in the market. Taste: Clear liquid with a brisk, fresh taste that to some is akin to bamboo or willow bark, and a sweetish lingering aftertaste; bitter if oversteeped or the water used is too hot. Appearance: unopened buds, bright green, shiny, flat, and short. Preparation Hot: 1-2.5 teaspoons (2.5-3 grams) tea buds, 7.6 ounces (225ml) water, use tea ware made of glass or porcelain, rinse teacup and teapot with hot water, 1 min first and second infusion, add 10 seconds to each subsequent infusion. History: This tea style was first made by a Buddhist Monk at the Wannian Temple on this mountain in the early 1960s. Taste: clear, bright, aroma of orchids with hint of fresh fruit sweetness; light, refreshing. Appearance: unprocessed leaf is partially purple; slim, narrow, resembles bamboo shoot; highest grade is buds, slight purple after infusing. 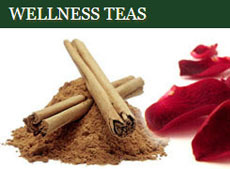 Preparation: using fewer leaves, infuse in glass or porcelain tea ware, rinse cup and teapot with hot water. 2g leaves, 150 ml water, 158-176°F (70-80°C), 1 minute 1st & 2nd steeping. Gradually increase time and temp. for subsequent steepings. History: Famous as early as 1,200 years ago. Dates back to 8th Century CE, when Lu Yu, the famous tea master, set up a tea factory dedicated to producing Gu Zhu Zi Sun as the first tribute tea for the Tang Dynasty Emperor. Initially this tea was steamed into cakes and then ground into a powder to drink. In 1368 AD this tea was brewed using whole leaves. While you’re waiting for these various teas and others to appear on the market, enjoy some of our other fine teas that we have in stock. 1 Response to Pre-Qing Ming Tea Time Is Near!